April 20th has been seared into the minds of many people. This date is not only Hitler’s birthday or “weed day”; this was the date of the school shooting at Columbine. While students at CFHS do not expect to encounter something as horrific as this, the Cedar Falls Community School District recognizes the importance of safety drills, and has decided to take them to a new level. 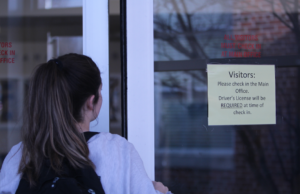 Besides the usual fire and tornado drills, safety drills will now include shelter in place, lock down, and off-site evacuation drills, which will be routinely held with students. A lot of preparation goes into these drills behind the scenes. A District Safety Committee, which was formed last year, plans the drills. There is also an Incident Command Team (ICT) with members prepared with a specific job in case of a crisis situation, including getting students home safely, dealing with law enforcement and dealing with the media. This month a lock down will be practiced, in which outdoor and interior doors will be locked. There have been rumors that the drill will include a simulated armed intruder; however, this is not the case. 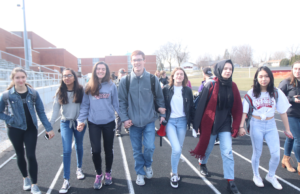 In June, there are plans for an off-site evacuation drill, in which students will be led to a location within walking distance. This summer the District Safety Committee is also working on a reunification drill, which would practice what would happen in the event that students left the school and could not return. Many districts in the area are also practicing these emergency drills. Waterloo has done these drills for the last two years And while some may say that situations like these never arise — knock on wood — they should remember the shooting of coach Ed Thomas in Parkersburg last summer. While students have done well in the past with these and similar drills, Deines stresses that students need to continue to take these drills entirely seriously and follow directions. 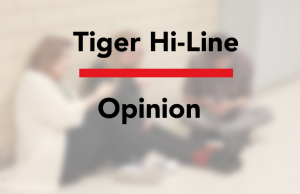 “The best thing is for students to be attentive, cooperative, and courteous,” Deines said.